In June, Jesús García joined Q Holding Company as west coast business development manager. He is based in Baja, California, and will focus on developing aerospace business as well as managing commercial sales and engineering activities related to key accounts on the west coasts of the U.S. and Mexico. Jesús comes to Q Holding with more than 18 years of experience in the automotive and rubber molding industry, including 12 years of experience selling high volume automotive parts. 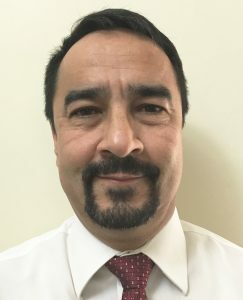 Prior to joining the company, Jesús served as Account Manager West Region, for Hutchinson Seal de Mexico, where he grew the company’s automotive and industrial markets in the northwest region of the U.S. and throughout Mexico. He also held the roles of Account Manager Mexico for Bryant Rubber Corp., Quality Assurance and R&D Manager for Continental Polymers, and Process & Rubber Compound Engineer for DOWTY O-rings group JOHN CRANE. Jesús has a BS Degree in Industrial Chemistry, Polymers, Rubbers & Plastics from Universidad Autónoma de Baja California. Throughout his career, he has completed numerous training courses in quality, sales, materials and process development. You can reach Jesús at [email protected] or +521 (646) 131-9480.